Product prices and availability are accurate as of 2019-04-03 20:29:36 EDT and are subject to change. Any price and availability information displayed on http://www.amazon.com/ at the time of purchase will apply to the purchase of this product. This no contact voltage detector automatically detects AC voltage from 12V to 1000V allowing broad range testing. It is designed for non-contact testing of standard AC voltage in cables, cords, circuit breakers, lighting fixtures, switches, outlets and wires. Also excellent for testing low voltage in security, entertainment, communications, environmental control, holiday lights and irrigation systems. Its sensitivity sound & bright LED alarm will make your job safe and easy. This professional voltage detector is a great gift for men and a must have tool for any handyman. With its Non contact testing feature you can be assured of your safety while testing live wires. Adjustable Voltage sensitivity from 12V to 1000V AC helps you determine the level of voltage. Sound and light alarm helps you find the LIVE points unmistakably. Auto power off feature to converse and extend battery life. It is designed according to EN61010-1-2-030, EN61010-2-033,CAT.III1000V safety standards. 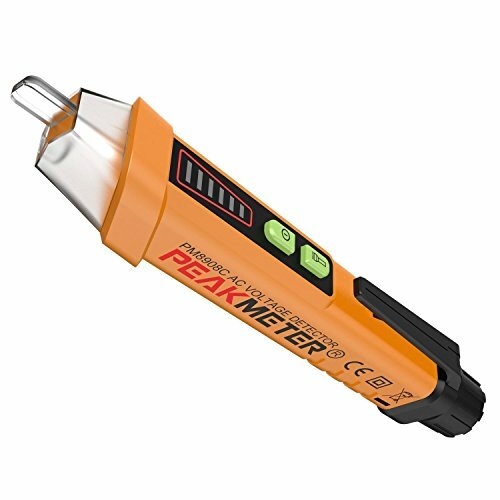 Safe, professional and easy-to-use voltage tester is a must have tool for any handy man. 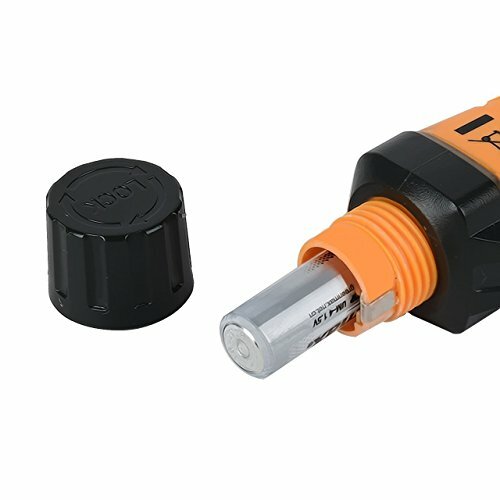 Small and compact electrical tester pen designed for easy carrying along to any electrical job. PACKAGE INCLUDES - 1 x PriceBustr AC Voltage Tester. 2 x 1.5V AAA Batteries. 1 x English User Manual. DON'T GET ZAPPED - Easily detect live wires. 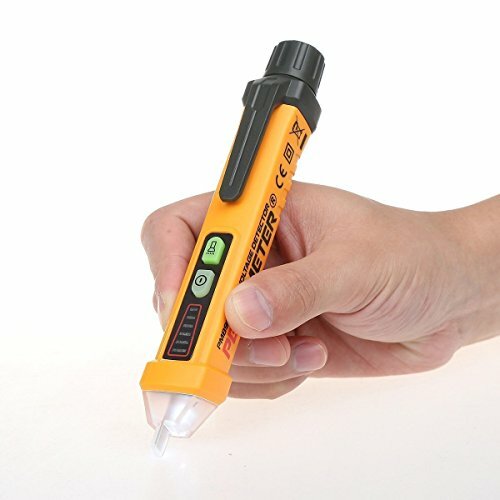 This professional voltage tester pen detects AC voltage from 12v to 1000v with 3 different voltage levels. CARRY WITH EASE - Lightweight design and strong polycarbonate body with a pocket clip makes is easy to carry and quick to use. ENSURE THE SAFETY - No need to call the electrician or to touch the wire. This cheap voltage tester allows to perform voltage testing without touching the wire. There are 3 levels of sensitivity with Sound and LED alarm. Upon detection, tip glows and beeper sounds. CONVENIENT AND BRIGHT LED FLASH LIGHT - Work with confidence in dark places. no need to have a seperate torch light. This tool has inbuilt and efficient LED light with Auto Power-off feature to conserve and extends battery life. LIFETIME WARRANTY & BATTERIES INCLUDED - This no contact voltage detector comes with a life time warranty and 2 AAA batteries.